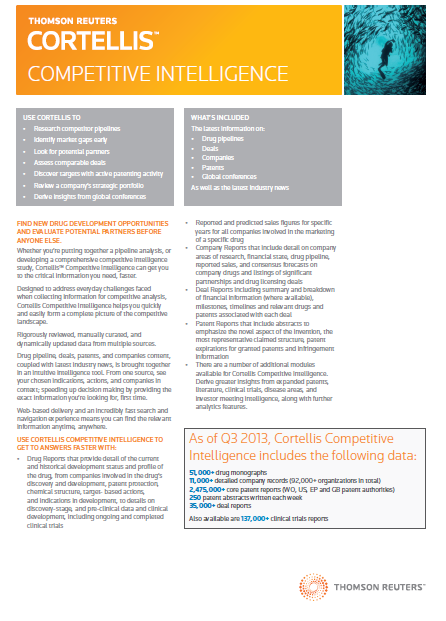 For a 10-day free trial to Cortellis Competitive Intelligence, please fill out the required fields below. In the increasingly crowded Pharma space, it's critical to know what and how your competitors are developing. Base your strategic decisions on the best market intelligence with information on pipeline analysis, competitive intelligence, reports, sales forecasts, patents, the latest news from conferences and more.